The estate agent’s details listed two reception rooms, kitchen and bath. What they failed to mention was the dead celebrity in the master bedroom. Personal assistant Verity Long’s house hunt is about to turn into a hunt for a killer. It will take some fancy footwork to navigate the b#tchy world of dance shows, television studios, and dangerously gorgeous male co-stars. 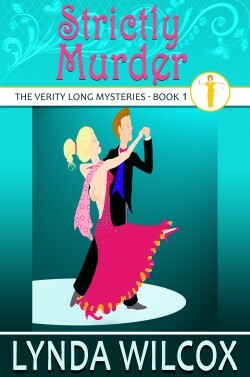 When Verity looks like the killer’s next tango partner, she discovers that this dance is … Strictly Murder.